People say there is no point asking the “what if” question in history. But maybe, there is, if the intention is to help heal wounds of the present and instill hope for the future through creative work. Lee Byung-hun, one of the best known Korean actors in Hollywood, plays the Korean-American Marine Corps officer Eugene Choi, who falls in love with a noble woman and secret member of “righteous army” militias that sought to thwart looming Japanese invasion in the beginning of the 20th century. According to an article published by the Center for the Study of Intelligence under the US Central Intelligence Agency, US Minister Lucius Foote at the US Legation in Seoul requested a contingent of US Marines to guard and protect the legation property after witnessing a three-day failed coup d’etat in 1884 to unseat the royal family, followed by days of riots and mob violence in the city. But the US never actually sent their Marines to Joseon. Eugene Choi appears to be the product of wishful imagination inspired by US naval attache George Foulke, who spoke Korean, explored various parts of the country, and even understood the political intrigues between factions in Joseon’s court that were influenced by China and Japan at the time. The producers of “Mr. Sunshine” also took note of the US expedition to Korea in 1871 that led to an armed conflict known as Shinmiyangyo, which roughly translates into “Western disturbance in the Shinmi year.” It was the first American military action in Korea and left five Korean forts destroyed and more than 350 Koreans dead on and around Ganghwa Island. The first two episodes of the series are emotionally difficult to watch as they portray the brutality of some in the ruling yangban class, and how Joseon was a cruel place for those in the lowest ranks of the social hierarchy. Choi was the son of a nobi, a serf who was considered property. He ran away after his father was beaten to death at the orders of the yangban who owned them, and his mother killed herself. Thanks to several people, including two nobi chasers -- an actual profession in the Joseon era -- who turned a blind eye to the 9-year-old boy, Choi was able to escape to the US. 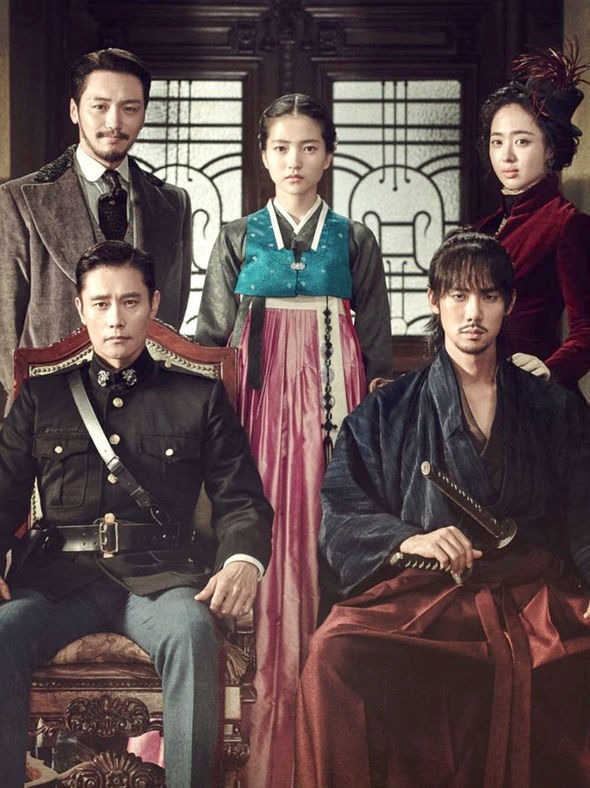 But the show’s key message is not about Joseon-era social hierarchy. Although history unfolded a dismal path for Joseon, “Mr. Sunshine,” as its title hints, is about how ordinary Koreans can help build a better society. It is a fantasy created to inspire viewers living today’s deep-rooted political and socioeconomic divisions. As the show moves on to the following episodes, typical Korean-style, but original whiffs of humor disarm viewers. Touching stories of the characters, beautiful scenes and music quickly mesmerize viewers. All the recurring characters in “Mr. Sunshine,” save a few Japanese, Americans and a Russian, represent the people living the past and present of Korea. A boy who lost his hunter father during Shinmiyangyo, for example, grows into a member of the underground militia who trains yangban woman Ko Ae-shin as a sniper. Ko, played by actress Kim Tae-ri, was a newborn when her “euibyeong (righteous army)” parents were killed by pro-Japan collaborator Lee Wan-ik. Lee is a fictional recreation of a real person in history -- Ye Wan-yong, a pro-Japanese minister of Korea who signed the Japan Korea Annexation Treaty which placed Korea under Japanese rule in 1910. Like the 2016 tvN hit drama “Reply 1988,” “Mr. Sunshine” accentuates the different dialects spoken by the amiable recurring cast as part of efforts to underscore social harmony in a country where its two largest political parties fed on regional animosities. Despite criticism that the drama series can be historically misleading as it is way too imaginative, the fantasy of “Mr. Sunshine” deeply resonates with viewers thanks to its K-drama forte in attractive cast, synopsis full of life and artistic flair. “Mr. Sunshine” airs Saturdays and Sundays on tvN. The 14th episode was broadcast last Sunday, marking a high viewer rate of 15.6 percent.